After fleeing from the Goths, the people of the Veneto region founded the wild and uninhabited islands off their coast in 421AD. Supported by wooden piles driven 25 feet down into the compressed clay of the lagoon, these people unknowingly created what was later to become one of the most powerful cities in the world and one of the most romantic. In 1171, Venice was divided into the six sestieri, or districts, as it is still known today. Beyond two of the busiest streets, Lista di Spagna and Strada Nuovo, lays the most unspoiled part of Venice. This is the area to be in if you want to live like a true Venetian, a third of the city lives in this area. You will find artist workshops, small stores and wine bars aplenty. The world's oldest Ghetto is located here, as well as the Gothic church, Madonna del'Orto and a very special church, Santa Maria Assunta, know simply as the Gesuiti. Its interior is completely carved in green and white marble. What looks like drapery is actually carved marble. This is one of my favorite areas of Venice. A great location if you are looking for a neighborhood feel. Once you get past the commercial area of the Riva degli Schiavone promenade, travelers enter a quiet, residential area with narrow alley ways. The beautiful Campo Santa Maria Formosa opens up from a maze of tiny streets. 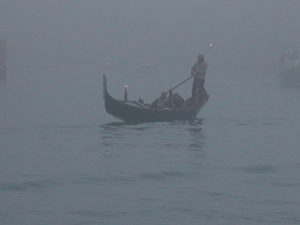 Here you will get a glimpse of an ordinary day as Venetians go about their daily routines. The "Greenwich Village" of Venice. Enjoy Campo Santa Margherita, the social gathering place and heart of this sestiere. In the morning you can meet at the market, in the afternoon the campo becomes a playground for children just out from school, and the evenings brings a gathering place for neighbors to catch up on the day's events. The first streets were laid here, as you can tell by how narrow many of them are. A very quiet area on only minutes away from the buzz of the city. The heart and soul of Venice, this area has always been its center. Home to the Basilica San Marco, the Doge Palace and the only Piazza in Venice. This Piazza was once described by Napoleon as "the most elegant drawing room in Europe" and indeed it is. There is no where else in the world where you can sit and listen to an outdoor orchestra, against the backdrop of the lit Basilica, as you leisurely sip on your Bellini. You can't help but marvel at this fairy tale moment. This busy area is usually the first stop for tourists. Although crowded during the day, as evening falls, the true magic of the city is revealed. Along with Santa Croce, this sestiere is the oldest. The people of the Veneto are said to have settled here in 421AD in what was at that time a cluster of tiny islands they called Rivus Altus, or Rialto. The market stalls sprung up in the 11th century and created the commercial hub of Venice. Go beyond the busy Riva del Vin and the market stalls to enjoy narrow alleys and intimate piazze. The magnificent Santa Maria Gloriosa dei Frari church is in its center.